In the time leading up to the 26th Job and Internship Fair at AUBG, we will introduce you to some of the biggest companies to come to campus April 3. Cargotec creates world-class technologies and offers solutions that enable efficient cargo flows around the globe. The company employs around 12,000 people in 45 countries. Read what their representatives have to say about the company and make sure to meet them on campus next month. 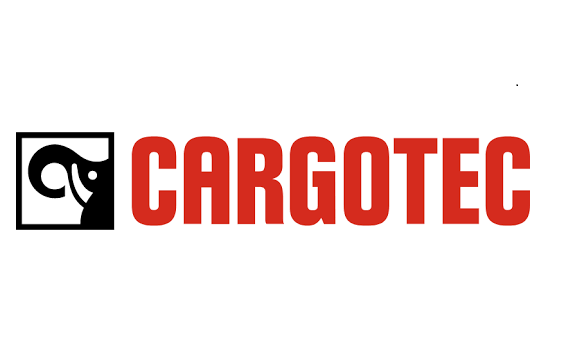 Cargotec is a leading provider of cargo and load handling technology solutions for intelligent cargo handling. It's business areas offer products and services that ensure continuous, reliable and sustainable performance. 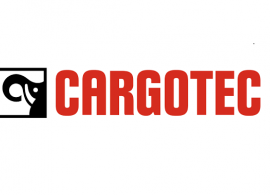 Cargotec Bulgaria is a global business services center that was established in 2017. 18 months later we have 350 employees and plan to continue the growth. We are here to drive and pioneer world-class global business services in the areas of Finance, Indirect Procurement, Human Resources Management and Information Management which are of real impact and value for our colleagues. Our job is to facilitate the work of Cargotec’s business areas by designing and redesigning business processes and constantly bringing them to a new level. We have a family of software robots in use and more in development. Global interactive platforms are available and accessible from anywhere in the world to ease the communication with internal and external customers (HR system, Purchasing platform). The culture at Cargotec Business Services makes each employee feel like a part of the team from day one because we don’t limit the communication across all levels of the organization, as we are all one. Team collaboration and personal and professional development are supported. (International assignments for knowledge exchange are promoted; cross-team knowledge exchange is encouraged). Everyone is hired for a reason. Each person’s expertise contributes to the growth and development of the business. – said Nikolay Jeliazov, Financial Director at Cargotec Business Services Bulgaria with a smile, when talking about his first job interview at a bank, while pursuing his degree in Business Administration at Sofia University. The interview included a finance test. Although he was offered the job, his overall assessment was clear: fiasco. Nikolay, however, doesn’t tell the story of his first interview with the typical pathos for a manager’s biography on the “positive side of failure”. What is more, he prefers classic literature to the leadership books. His style of thinking denies the frivolous use of the term “positive.” To him, it is about switching rapidly from negative emotions to constructive actions. Choosing to work rather than comforting yourself with CEO parables. And the answer to the “key fiasco” from his early professional path is to get a CFA and focus on understanding all the things that are happening. Giving employees equal chances for growth within an organization, but also establishing clear criteria on who and why is getting promoted; hiring not just the best candidates, but having a vision of how to develop them. This is partly how Nikolay’s idea of a just business environment looks like. On top of all that, Cargotec Business Services inspires Nikolay by giving him the opportunity to build business strategies, which will not only create a good image of the Bulgarian office but a long term value for the organization and its people. “The best thing is, none of these things is happening according to premade models, but with everyday efforts and through solving unique problems,” he says. As for the feedback from the people she works directly with, Vanya shares that the team climate is very positive. One of the main reasons for that is the established culture where people are always ready to help out a colleague facing a difficulty, but it’s also the informal gestures and little things that contribute to the outcome. “When someone has a birthday, we not only decorate their desk, but we will also get flowers and a present. Moreover, we will make sure to find out what their interests and preferences are, so that we surprise them in the best way possible. Building up a team and making them work together wouldn’t be possible without the ‘team rituals’ such as weekly or monthly events outside the office – they are the ones that make you feel like you belong,” Vanya adds. This article is published in partnership with Cargotec, a gold sponsor of the 26th Annual Job and Internship Fair at the American University in Bulgaria.